The music behind everyone’s favourite heroes and villains will get audiences singing along in Springvale. 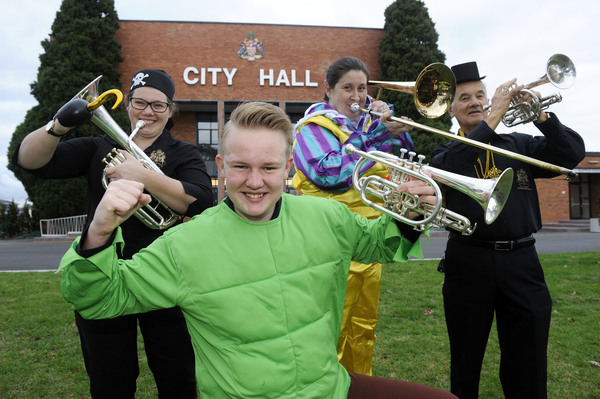 Heroes versus Villains is the theme for the City of Greater Dandenong Band’s eighth annual cabaret concert. The band has already been out and about at Australia Day celebrations, Dandenong Anzac Day commemorations and more this year. The concert will feature more than 40 musicians and is the band’s major fund-raiser. The night will also include a special performance from Springvale Brass, the band’s training program for the young and the young at heart. There’ll be prizes for the best costumes in the audience, and guests can bring along their own food and drinks. Join the City of Greater Dandenong Band at Springvale Town Hall on Saturday 30 June. Tickets are free for kids aged 5 years and under, $10 for children under 12, $20 concession and $25 for adults. Visit dandenongband.org.au or phone 0423 555 059 for tickets.